FirstTech was an important place to me. It was where I first explored Apple computers and began what is now a decade-long journey into Apple computer repair. 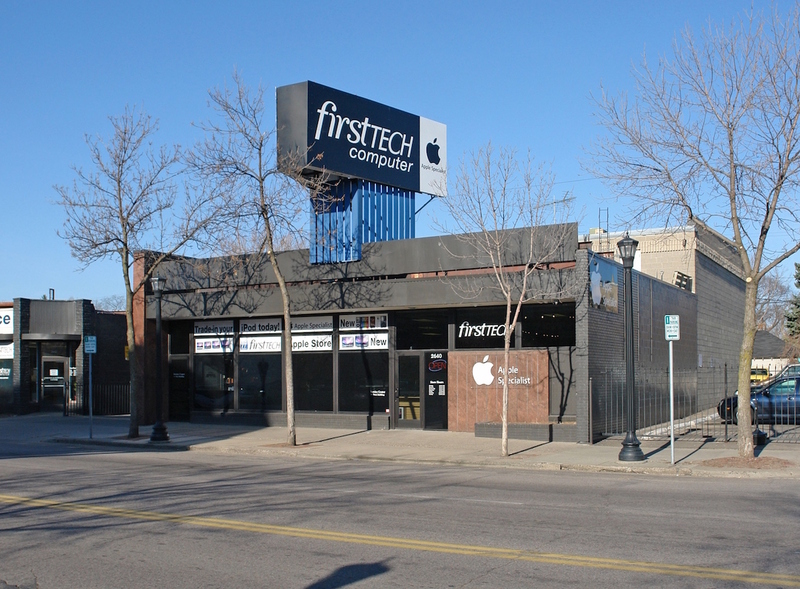 FirstTech was not just the first Apple reseller in Minneapolis; it was the first Apple reseller anywhere, right here in Minnesota in 1977. In March 2014, FirstTech closed its door after nearly 37 years in business due to heightened competition. With retail, repair and managed service offerings alike, it had been a great alternative to larger box stores and even regular Apple retail stores. What I liked most about FirstTech was its unassuming, plain exterior and the welcoming feel walking into the store. Mac computers are quality products, but they’re only as good as the quality of service you can get when you need help. This is a complaint I’ve heard recently from customers and their experience at the local Apple stores. I try to approach the repairs and fixes I perform with the same enthusiasm and passion for Apple Mac computers that was at the core of FirstTech’s business. Even now, two years later, customers mention FirstTech and how they were sad to see it go. I can’t help but feel a little nostalgic too. It was a little piece of Apple history just for Minnesotans.